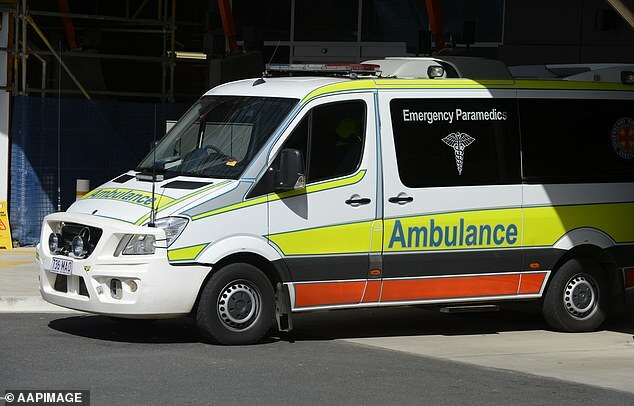 A woman has been charged with the assault of a paramedic in north Queensland. The woman was being treated for injuries by paramedics and was about to be transported to hospital just after midnight on Saturday morning, a police spokesman told Daily Mail Australia. Before she could be driven to receive further treatment the woman allegedly slapped a 58-year-old male paramedic across the head. The paramedic was not seriously injured in the alleged assault. 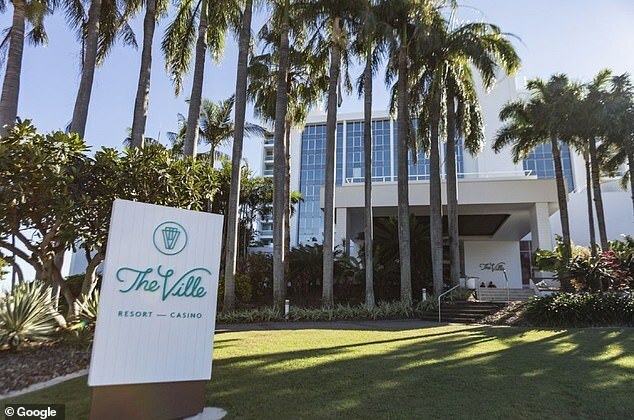 The woman, 21, who was allegedly intoxicated, was arrested by police outside The Ville casino. She was charged with serious assault of a public officer and public nuisance and will face court at a later date. District Duty Officer Senior Sergeant Darren Randall told the Townsville Bulletin would maintain ‘zero tolerance’ for people who attacked emergency service responders. 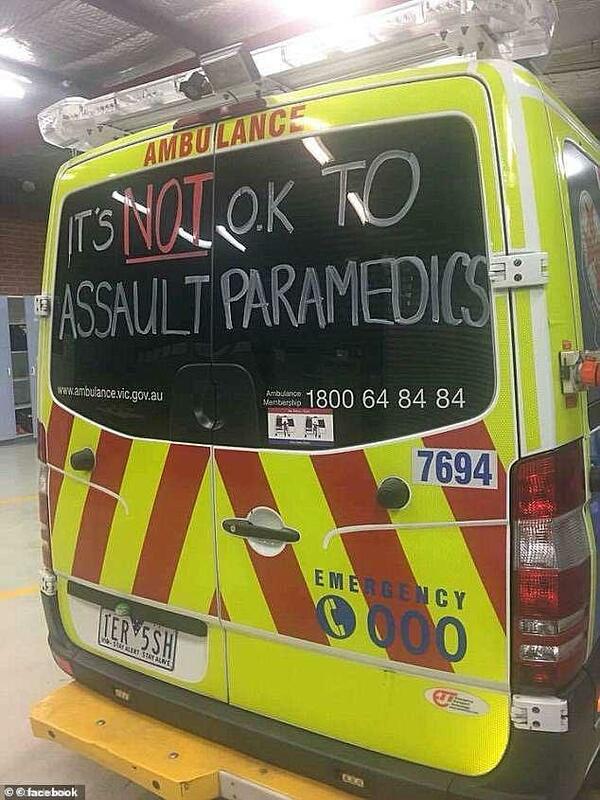 It follows a spate of attacks on paramedics across Australia earlier this year. Melbourne paramedic Stacey Heaney penned an emotional letter in May calling for stronger laws to protect emergency services workers. She shared her story of being ambushed by a knife-wielding man. ‘We parked our truck and began walking towards the patient when a bystander frantically ran down the street screaming “it’s a trap leave now they attack emergency services all the time!! They have a knife!’ Ms Heaney wrote. Ms Heaney claims the man was never charged because the paramedics were not hurt. 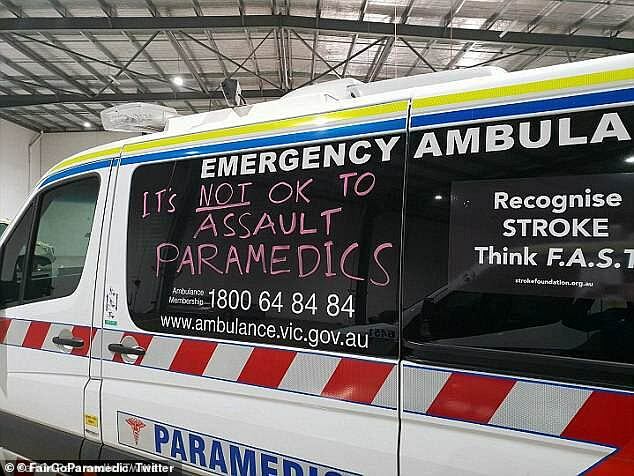 Around the same time, ambulance vehicles in Victoria were plastered with protest graffiti by angry paramedics in response to the spate of alleged attacks. 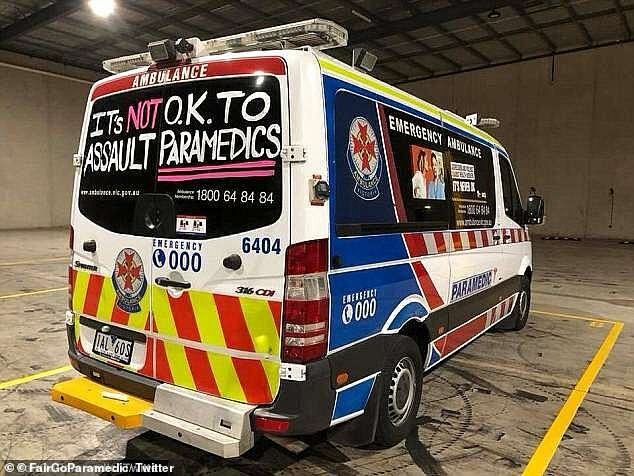 Fair Go paramedic posted photos of ambulance vehicles displaying the message in pink and white writing: ‘It’s not OK to assault paramedics’, while a #itsneverok hashtag went viral on social media. It prompted the Victorian government to pass tough new laws in June, where courts now have to impose a custodial sentence and can’t sentence anyone found guilty of attacking emergency workers to a community correction order or other non-custodial outcome.